A younger son of Sir John Power, Bart, of Kilfane, County Kilkenny and his wife, the former Miss Frances Elizabeth Wade of Clonabrany, County Meath, educated at Cheltenham College and at Trinity College, Dublin, and the possessor of a pretty light tenor voice, George Power elected, following his education, to draw some enjoyment from the cultivation of his musical gifts. Power, however, took his training seriously, and became a lifelong devotee of ‘the Italian method’. It was doubtless Lamperti, with some help from his family bank balance, which secured the young tenorino a first outing at that most purchasable of debut theatres, the Teatro Manoel in Valetta, Malta. We are told that the role chosen was that of Almaviva in Il Barbiere di Siviglia, but I have not succeeded in unearthing a report or review. On his return to Britain, Power was hired for a short season of English opera being given at Her Majesty’s Theatre, in which a number of young native vocalists were being given the chance of a first appearance. Power was scheduled to sing on opening night (26 December 1877) but, sensibly, he was not thrown into any large and hefty role. He was cast alongside Miss Pauline Rita (otherwise Mrs Margaret Phillips) as Daniel in the little The Swiss Cottage. In the event, Mlle Rita didn’t appear and her place was taken by Miss Helene Crosmond (otherwise Mrs Hannah Turner). Miss Crosmond made quite a success, and Mr Power and George Fox, in the baritone role of Max, were thoroughly outshone. Mr Power was nodded to as ‘an agreeable tenor’ and The Erachronicled ‘a satisfactory first appearance’. It would also be George Power’s last appearance in opera. Mr W S Gilbert and Mr A S Sullivan, both frequenters of, indeed, more frankly devotees of, the aristocratic amateur musical and dramatic circles of London, were at this time running a wholly professional comic opera entitled The Sorcererat the Opera Comique, in the Strand. They had cast as their leading tenor a young man by the name of Bentham, who had issued forth from the ranks of the amateurs to find some success as Signor Bentami in the Italian opera. But, The Sorcererwas not Italian opera, it was sophisticated burlesque opera, and Mr Bentham it appears couldn’t quite get a handle on it. When the time came near for The Sorcerer to head for the provinces, the writers and their effective manager, Mr D’Oyly Carte, sidewound their so-so leading man into the touring troupe, and to replace him at the Opera Comique they took on Mr George Power. Thus, on Saturday 23 February 1878, less than two months after his London debut at Her Majesty’s, George Power was installed as an opéra-bouffe leading man in the Strand. The choice was a good one. Power was a pretty fellow, with nicely gentlemanly and even aristocratic ways and manners, the ability to wear clothes well, and a decidedly true and well-cultivated light tenor voice. On the 23 March, when the afterpiece The Spectre Knight(which had no tenor role) was replaced by a revival of Trial by Jury, Power was also cast in the role of the Defendant. In the company of Grossmith, Barrington and ‘Fred Clifton’, and the very young ‘Lisa Walton’ as the plaintiff, he was found a little self-effacing in the role created by actor-singer Walter Fisher, and it was noted that ‘scarcely made the most of his solos’, but his pretty face, good figure and winsome voice more than carried him through. When The Sorcererhad run its course, Messrs Sullivan, Gilbert, Carte and the Comedy Opera Company replaced it with more of the same. That more of the same was HMS Pinafore, destined to be one of the most successful pieces of musical theatre of the Victorian era. In a manner which would become a habit, the production team cast most of the new piece’s roles with the cast of their previous show and, thus, it was George Power who was handed the role of the tenorious tar, Ralph Rackstraw. Ralph’s role consisting of good looks, sweet singing, and earnest though burlesque dialogue, it would have scarcely been possible, at the time and in the place, to cast the part more happily than with George Power. Alongside the showier parts and performances of the piece, his Ralph was often only dignified in the reviews with ‘a very capable tenor’, ‘a very pleasing tenor’, but his performance was not to be underestimated. Power gave ‘A maiden fair to see’ and went melodically and melodramatically to his dungeon cell in a perfect light tenorious fashion. From Power’s comments in later life … when he was regularly called upon to tell tales of the production of Gilbert and Sullivan’s great hit … he did understand the burlesque nature of the piece and his part, so I think we may give him credit for comprehended ‘mock sentimentality’ rather than, uncomprehendingly, the real thing. Power played Ralph Rackstraw for most of its long run – giving some performances over to Tom Noel, W H Seymour and D’Arcy Ferris – and he was still the leading-tenor-in-title of the Opera Comique company when it came to the time to produce HMS Pinafore’s successor, The Pirates of Penzance. In The Pirates of Penzance,he had a role as like to its predecessor as could be, as a fine put-upon young fellow who sings longingly in duet with his soprano before their plight is all untwined, and their final curtain clinch. The Era gave him a tad more space than usual: ‘a very agreeable light tenor voice and a pleasing style, qualities which have already gained for him no little favour in the previous opera … [he has] good taste vocally and a fair amount of histrionic skill’, before returning at a later date and finding him: ‘in every way excellent’. ‘He acts the character with a mock sentiment which always renders the part amusing ... his pleasant tenor voice is used with great effect’. Some, however, found him ‘a rather inanimate lover’ (Examiner). George Power played the role of Frederic ‘the slave of duty’ for six months, before he relinquished his second consecutive long-running role and returned to a less professional mode of life. For the next ten months, he was seen out only in fashionable concerts and in occasional parlour operettas and other amateur or semi-professional theatre performances. 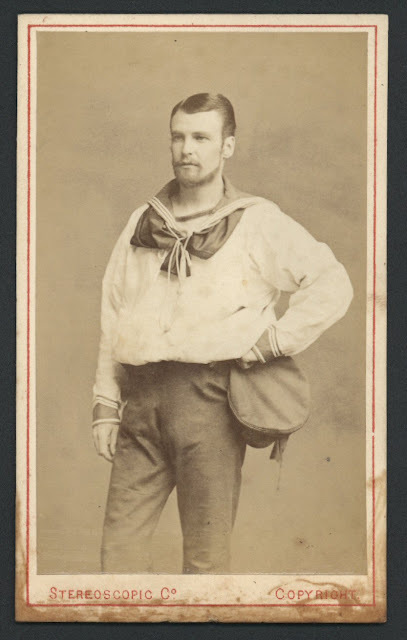 During the run of The Pirates of Penzance, he had played in a matinee at St George’s Hall in a chamber operetta by Wilfred Bendall and Walter Austin entitled The Stepmother (6 May 1880), now he added to that Henri Logé’s Incognito (May 1881), Freddie Clay’s Out of Sight (as Lt de Blanc-Mange, 1881, opposite Mrs Godfrey Pearse, daughter of the tenor Mario) and, more surprisingly, a French production of Augier’s play L’Aventurière. When François Cellier produced The Pirates of Penzance (‘by permission’, director: Richard Barker) with amateurs at Kingston, Power went down to repeat his original role there. He must have been surprised to find there a stunning Mabel, a certain ‘Mrs Loveday’, who was surely none other than the former Gaiety star Annie Tremaine. He sang for Mr and Mrs Reay-Mackey at Steinway Hall, for Mlle Isabelle de Vaney at Aberdeen House, for Herbert Thorndike at Steinway Hall, for Logé at 49 Prince’s Gate, for Harry St Maur and Mme Doré-Desvigne and ‘charmed everybody by the beauty of his voice’, in many an aristocratic drawing room. Then, on 20 August 1881, he returned to the professional stage. Michael Gunn of Dublin, an important backer of the Carte regime, had begun a series of English comic operas with which he hoped to rival Carte’s Gilbert and Sullivan series. He had made a splendid beginning with Solomon and Stephens’s Billee Taylor, and now he was producing its successor, Claude Duval. Part of his determination involved casting the ‘lovers’ of The Pirates of Penzance as the lovers of his new piece. So Marion Hood and George Power joined Frank Celli in the title-role and the composer’s brother, Fred Solomon, as chief comic, at the head of the cast for the new show. Mr Stephens, in particular, had sadly failed to come up with the goods a second time, and Power’s role of what the press dubbed ‘the depressing Charles Lorrimore’ suffered particularly. ‘Mr George Power made as depressing a melancholy lover as could well be found to play a depressing part’. Solomon’s comic turn held the piece together for a couple of months, before it closed, and, with it ,George Power’s career as a professional comic-opera tenor. When the show closed, he was announced as being hired as leading tenor for the German Reed entertainment and its proposed revival of Ages Ago, but when it came to the event, he called in ‘sick’ and Mr North Home took the role. George Power never did join the Reeds. Between 1885 and 1895, I spot George Power performing in concert and occasional operetta mostly on society occasions. 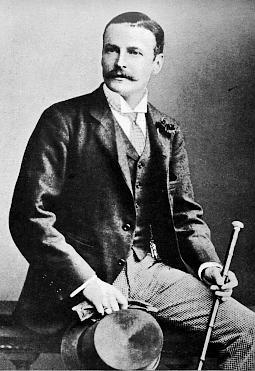 He seems to have played some performances with ‘Percy North’s Operetta Company’ alongside the equally equivocally picturesque Hayden Coffin, the Herbert Reeveses, Edith Brandon and the young bass Owen Evan Thomas; he appeared at Hove (29 October 1885) in an operetta by the insistent Harriet Young, When One Door Shuts Anther One Opens, he played in a piece entitled Prizes and Banksat Owen Thomas’s matinee (11 December 1885), and sang with the amateur group, The Strolling Players, when they did The Merchant of Venice. He turns up at Canizzaro House, Wimbledon, when Mr and Mrs Leo Schuster do a society Benefit for the Colonial Emigration (for other people, doubtless) Society, and at the London matinees given by Minnie Bell, Arthur Wellesley, Templar Saxe et al, and in 1890 (10 June) he is in the cast with Mr D Bispham and Mrs Pearse, once again, when the Stock Exchange amateurs did the burlesque Joan, or the Brigands of Bluegoria. In 1890 I spot him playing in Frou Frou for charity, and my last sightings of him as a singer are in March 1894, at the Palazzo Rinnucci in Florence, when he performed Ralph Rackstraw with the local society glamateurs for the alleged Benefit of the ‘Holy Trinity Church Fund’, and in November of the same year at the Green Park Club, (for ladies), London. He continued, to the end of the century, to appear in society amdrams, but by this time he had become a singing teacher, known for his severe adherence to the Italian method. In 1903, George Power succeeded to his father’s baronetcy. He had been umpteenth in line to the succession, but following the death of brothers and nephews, several of whom had taken to the military with the inherent risks and final results, he unexpectedly found himself ennobled. And hardly in a position to continue the line. In fact, at the approach of the age of seventy, his did finally marry. His wife was Eva Gertrude Boulton, the daughter of Sir Samuel Boulton, bart of Copped Hall, Totteridge, Herts, with whose brother and family he was ‘old friends’. It goes without saying, there were no children, and the baronetcy died out at his death at the age of eighty-one. An almost incidental Victorian vocalist, George Power left his name engraved in the history of the British musical theatre, thanks to his being around and in the right social circles when Messrs Gilbert and Sullivan were making their most important steps towards fame.